You Are Here: Home > Enjoy the Spirit of the Season With These Exceptional Offers! 2017 C 300 4MATIC® Sport Sedan; Stk# P73820; 3,658 miles: Pricing incl. all costs to be paid by a consumer except except for licensing costs, registration fees & taxes. MSRP: $44,485. Due at signing: 1st mo pymt, $499 DOC fees & 1,095 bank fee. Lessee resp. for maint. & excess wear & tear. Offer incl. 30,000 mi. w/excess @ 25¢ per mi. Ttl pymt/ttl cost/purchase opt: 2017 C 300: $14,364/$15,958/$26,559.40. To qual. buyers w/approved credit thru MBFS. Details @ 1-800-f-o-r-Mercedes. 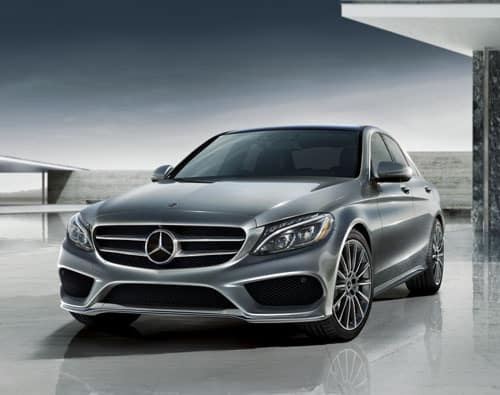 2017 E 300 4MATIC® Sedan; P70865, 6,900 miles: Pricing incl. all costs to be paid by a consumer except except for licensing costs, registration fees & taxes. MSRP: $57,735. Due at signing: 1st mo pymt, $499 DOC fees & 1,095 bank fee. Lessee resp. for maint. & excess wear & tear. Offer incl. 30,000 mi. w/excess @ 25¢ per mi. Ttl pymt/ttl cost/purchase opt: 2017 E 300: $17,964/$19,558/$33,283.65. To qual. buyers w/approved credit thru MBFS. Details @ 1-800-f-o-r-Mercedes. 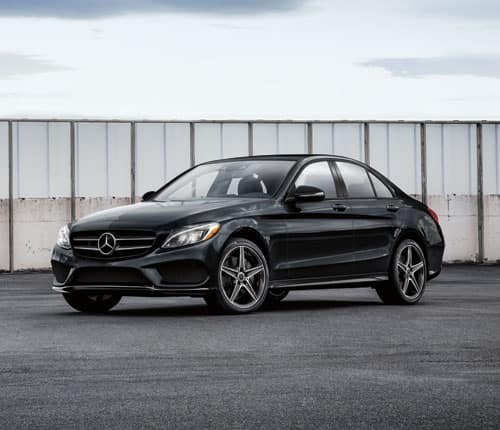 2018 C 300 4MATIC® Sport Sedan: Pricing incl. all costs to be paid by a consumer except except for licensing costs, registration fees & taxes. MSRP: $44,495. Due at signing: 1st mo pymt, $3,149 down pymt, $795 bank fee. Lessee resp. for maint. & excess wear & tear. Offer incl. 30,000 mi. w/excess @ 25¢ per mi. Ttl pymt/ttl cost/purchase opt: 2018 C 300: $16,164/$20,108/$27,58740. To qual. buyers w/approved credit thru MBFS. Details @ 1-800-f-o-r-Mercedes. 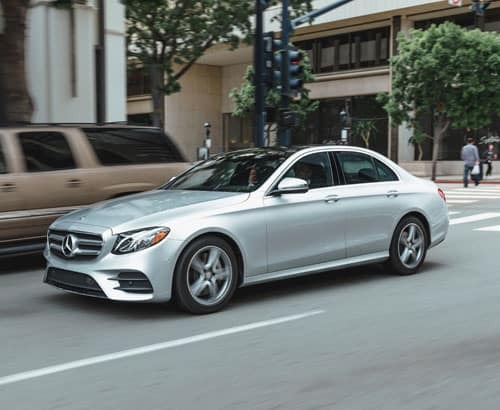 2018 E 300 4MATIC® Sedan: Pricing incl. all costs to be paid by a consumer except except for licensing costs, registration fees & taxes. MSRP: $55,575. Due at signing: 1st mo. pymt, $3,649 down pymt, $795 bank fee. Lessee resp. for maint. & excess wear & tear. Offer incl. 30,000 mi. w/excess @ 25¢ per mi. Ttl pymt/ttl cost/purchase opt: 2018 E 300: $19,404/$23,848/$32,789. To qual. buyers w/approved credit thru MBFS. Details @ 1-800-f-o-r-Mercedes.